The most beautiful spot in Serbia, meandring river Uvac with Griffon vultures protected area. "Uvac" Special Nature Reserve is protected natural asset of great importance. It's situated in south-western Serbia, wedged between Mt.Zlatar massif in the Southwest and Mt. Javor in the Northeast. Reserve occupies 7543 ha with an altitude ranging from 760m to 1322m above sea level. Major morphological feature of the reserve is the Uvac River canyon valley including the valleys of its tributaries. The special value of canyon parts of the river valley are curving meanders. Relative height of meander heads is 100m at places. Variety of intact habitats, presence of endemic, rare and endangered flora and fauna species have special importance in terms of preservation of biodiversity and geodiversity and, by itself in terms of development and promotion of tourism potential of the reserve. 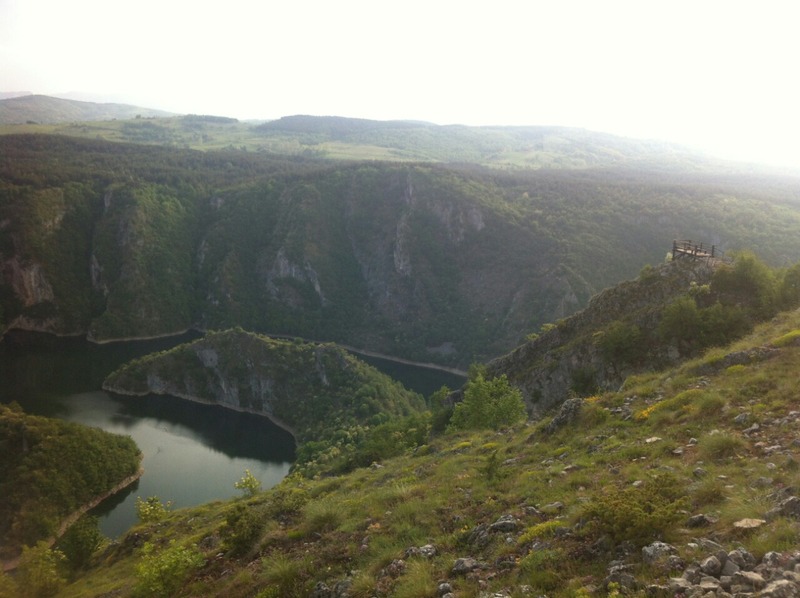 Uvac originates in Caričina village, at some 1460 meters above the sea level, and empt_engies into the Lim river at around 440 meters above the sea level. Uvac valley is partly submerged due to construction of three dams and creation of artificial lakes: Uvačko Lake, Zlatarsko lake and Radoinjsko lake. 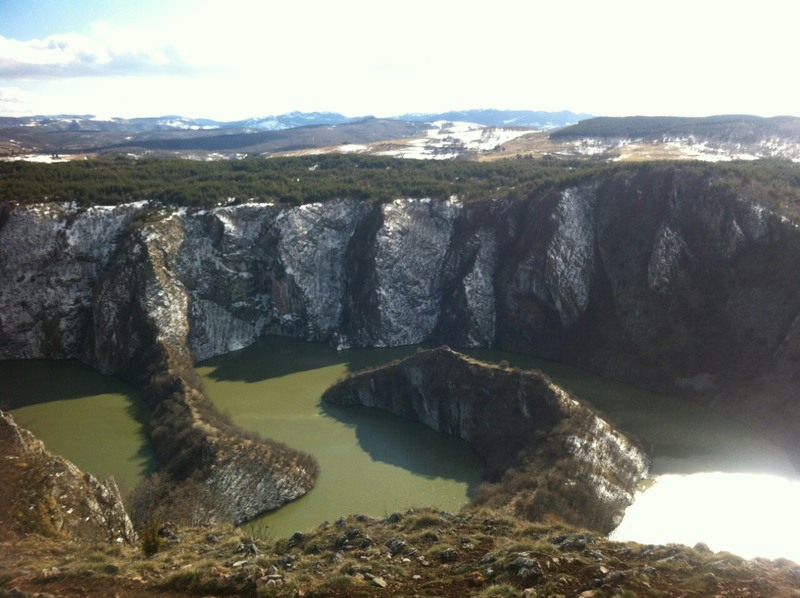 Uvac lake was created by building a dam in Akmačići village, at the altitude of 985 meters. 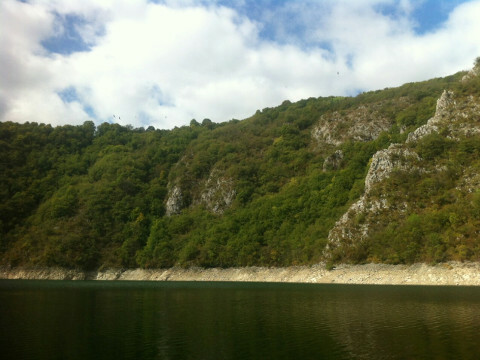 The dam is 160 meters long and 110 meters high, length of the lake is 25 kilometers. 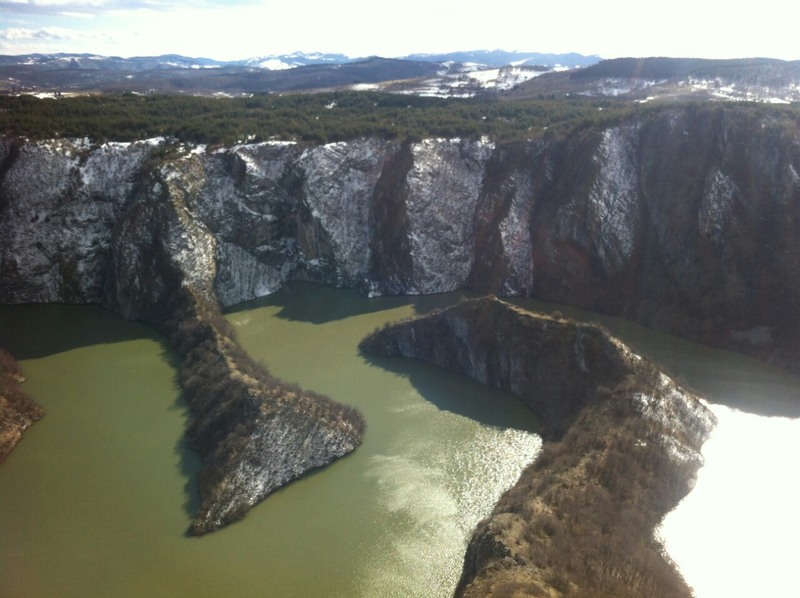 At 885 meters altitude, in Kokin Brod near Nova Varoš, Uvac was held back by another barrier that is 83 meters high and 1.264 meters long. 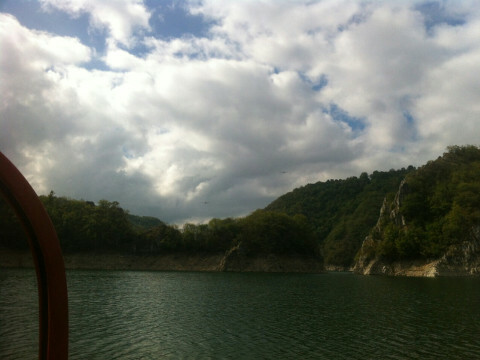 The lake is 27 kilometers long. 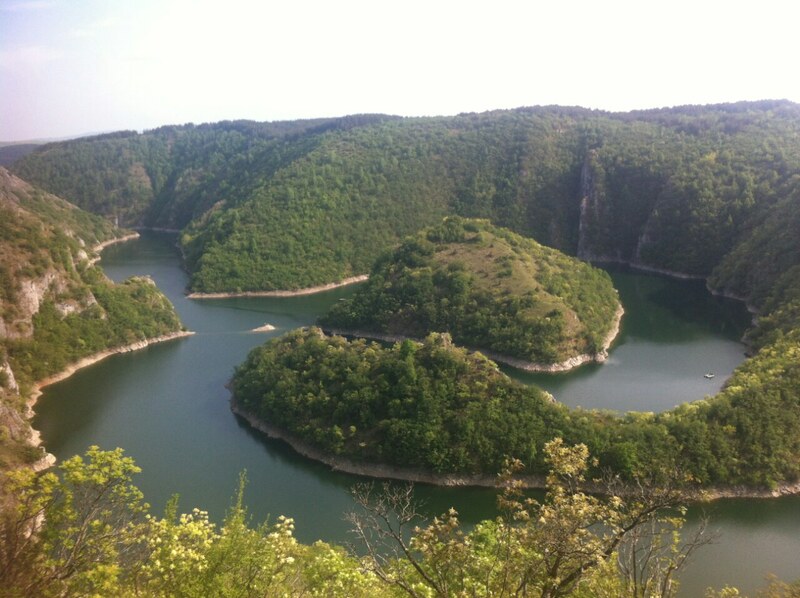 The third lake, situated in the lowest part of the river course is Radoinjsko lake, at the 805 meters altitude. 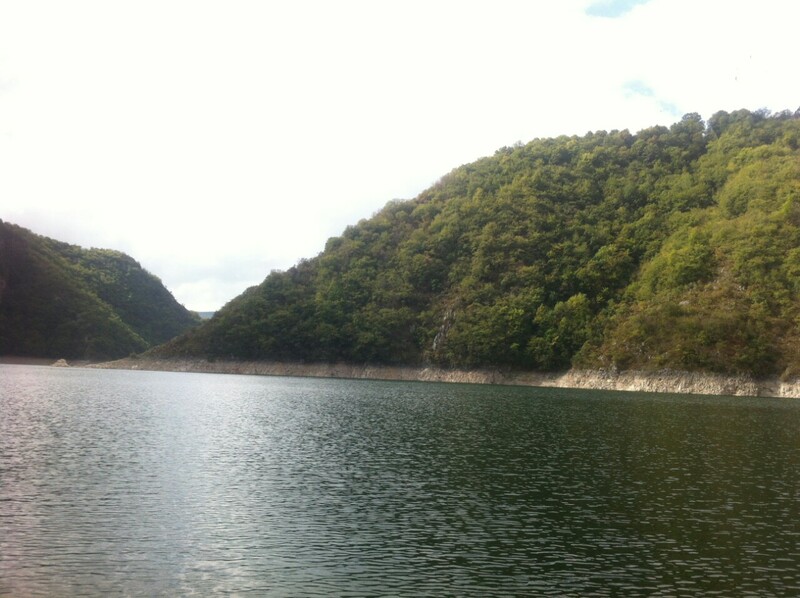 The dam is 40 meters high and 150 meters long. Wedged between steep limestone banks, the lake is 11 km long. Water from accumulated lakes is mainly used for production of electricity and water supply. 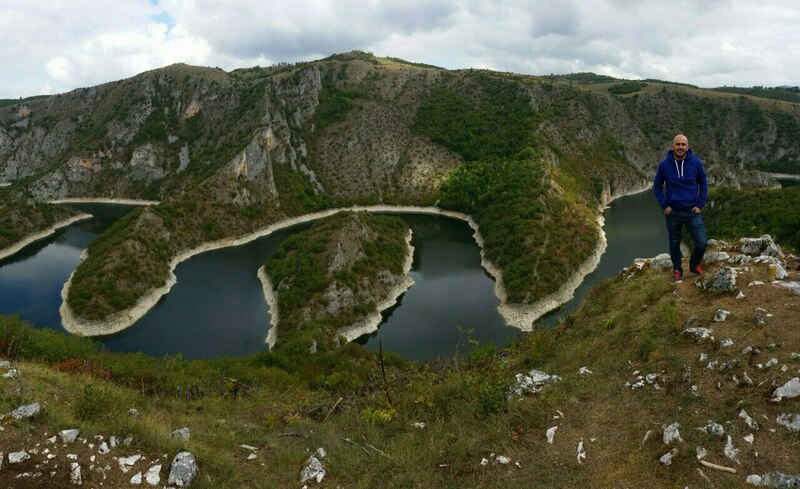 “Uvac” Special nature reserve is a high quality natural resource with the capacity of 500 million cubic meters of drinking water. 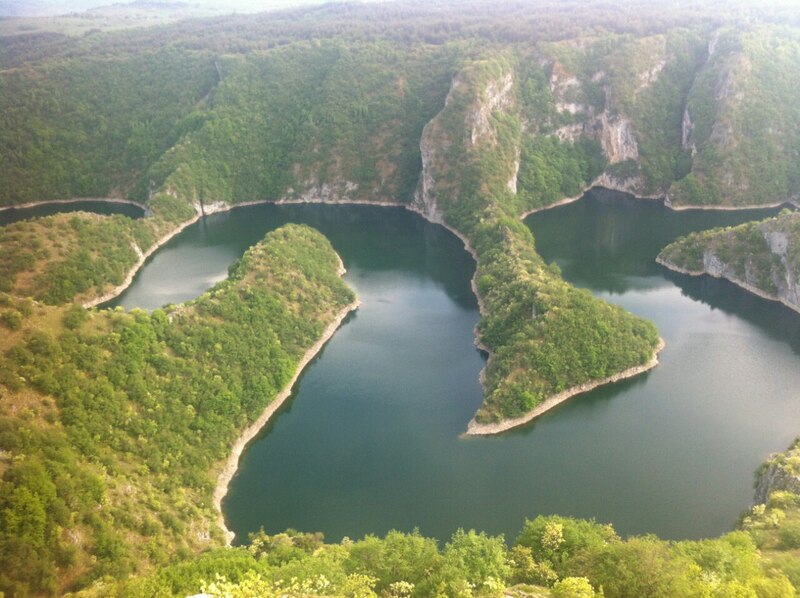 "Uvac" Special Nature Reserve is distinguished by the presence of 104 bird species. Most important of all is griffon vulture, one of the two vulture species that are still nesting in Serbia. 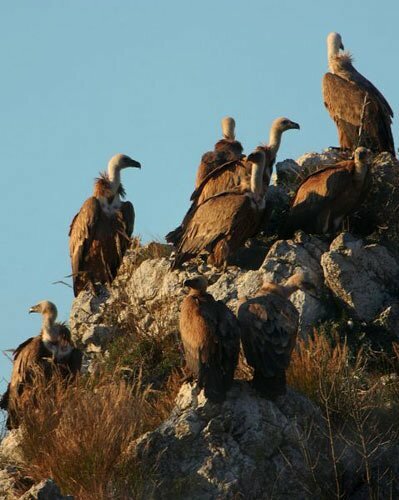 Griffon vultures are, at the same time, the greatest attraction in the reserve. Griffon vulture is a vulture species, of an impressive size with a wingspan of 3m at times, which makes him a powerful flier. Its flight has been studied by scientists – aeronautic engineers that used the knowledge on construction of aircrafts. The role it plays in the food chain is unique and makes him irreplaceable. Its is adopted to a diet of dead animals and therefore stops the spread of diseases and contributes to a kind of "natural recycling". 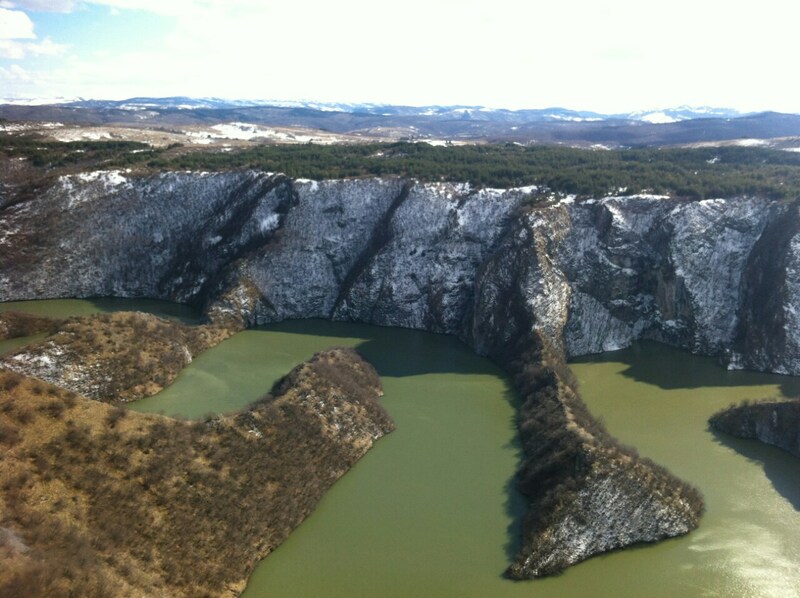 "Uvac" Special Nature Reserve is the only goosander nesting site in Serbia. 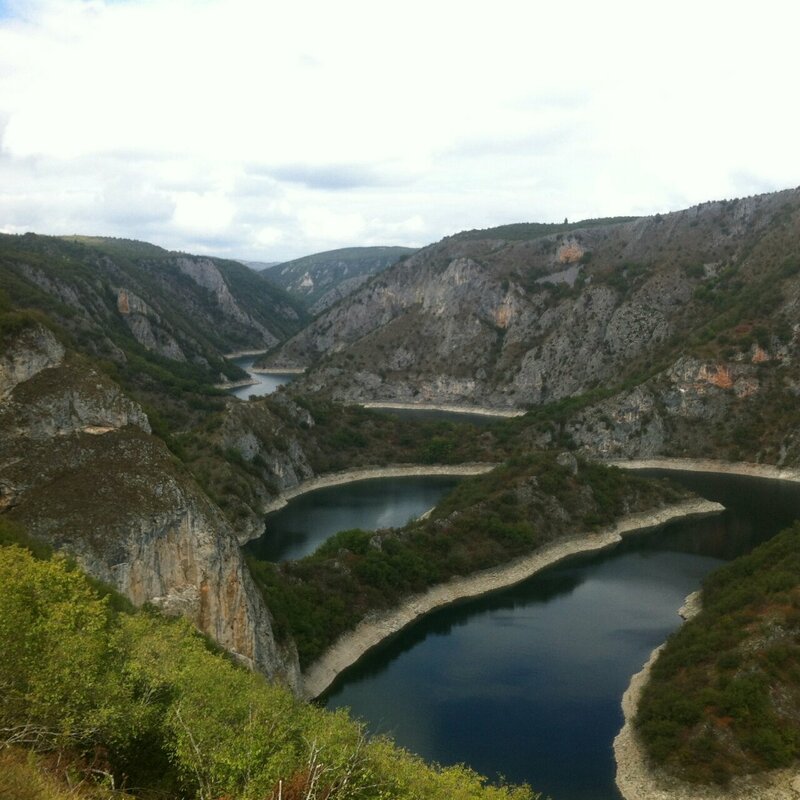 It is also home for the largest population of this rare bird species in the Balkans. Besides a rich ornitofauna, there are also some other rare and endangered mammal and other fauna species. Clean water in watercourses and accumulations presents an ideal habitat for 11 fish species, and some parts of it are natural reproduction areas of trout, rainbow trout, lake trout, chub, sneep, barbel…. Of 219 registered flora taxa, 3 species are of international significance, 3 of them have the Red List status, collection, use and marketing of 25 taxa are subject to control and more than 50 species have therapeutic value. "Uvac" Special Nature Reserve is rich in karst landforms with various karst formations: karst plains, karst depressions, karst sinkholes, rock shelters, caves and potholes. Caves are numerous and vary in size, ranging from rock shelters to Usak Cave System, the largest known cave system in Serbia. Except for its size, this system has some other characteristics as well that make it one of the most interesting speleological sites in Serbia and is definitely one of the main values of the reserve. 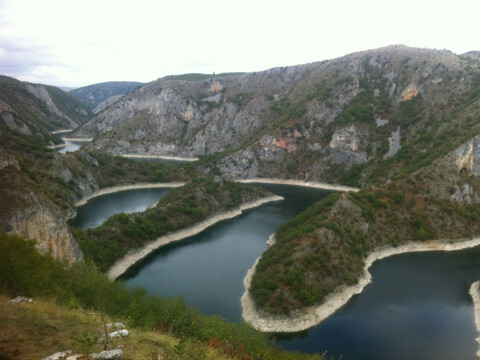 The system consists of two caves and a pothole with the interconnected canals that total 6185 meters in length. The largest part of the system is the Ušak Cave. 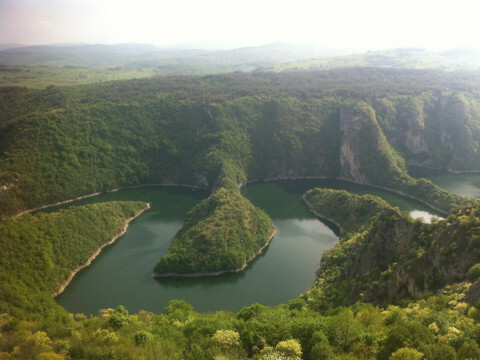 It has two entrances, one in Gornje Lopiže village and the other in Uvac valley. Ledena Pećina cave is slightly shorter. 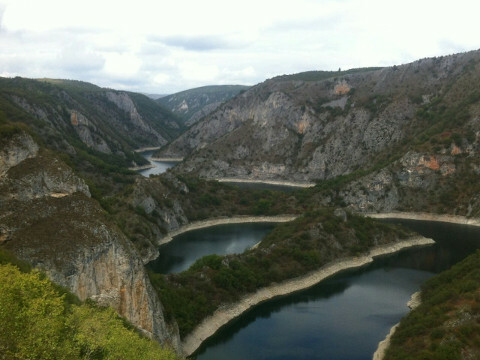 The main canal of Ledena Pećina cave stretches almost parallel with the main canal of Ušak Cave, at the distance of about 100m. The smallest, but yet the most interesting part of Ušak cave system is Bezdan pothole. 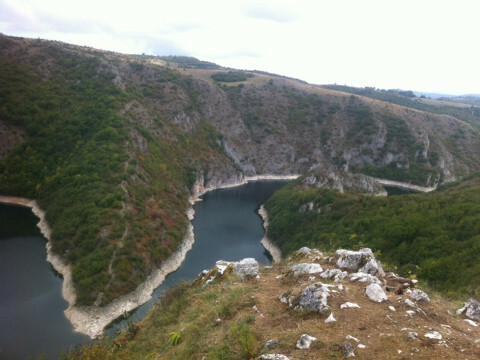 The entrance into the pothole is at the end of a dead-end valley called Miletin Do. 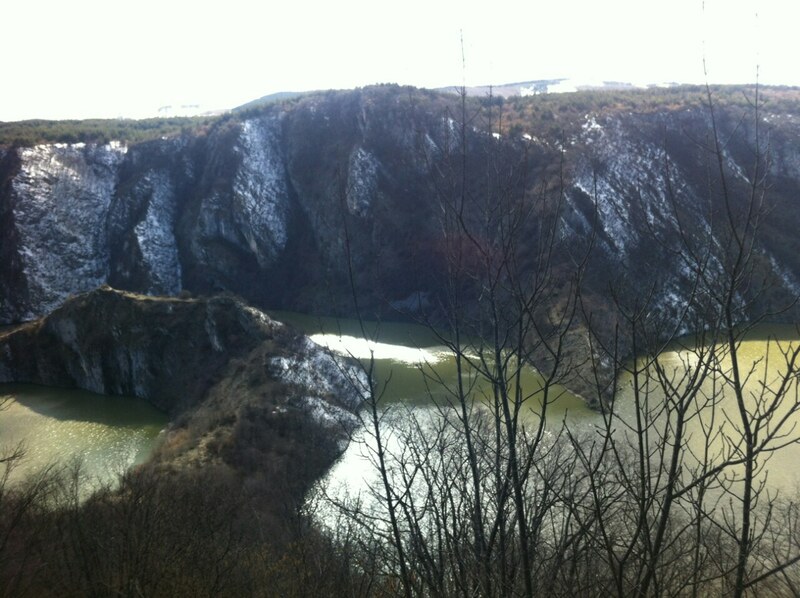 When its about caves, Tubića Pećina and Baždarska Pećina caves should also be mentioned. 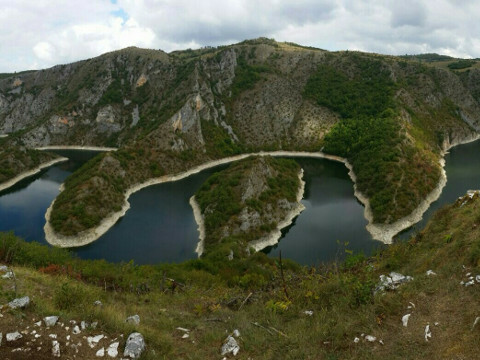 The first is situated in Tubići village, five kilometers northwest from Sjenica. It has two entrances and occasionaly it is hydrologically active. 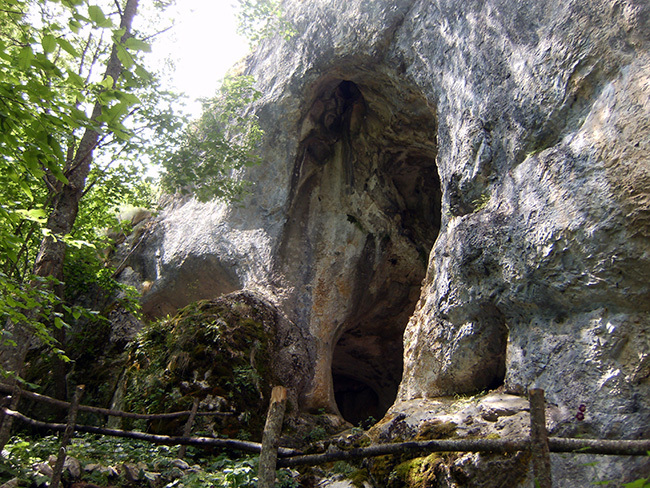 Baždarska Pećina cave is located in Ursule village, some 10 kilometars nothwest from Sjenica. 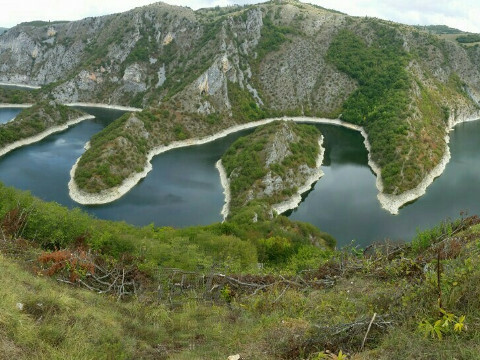 Caves in the territory of "Uvac" Special Nature Reserve are very rich in speleothem deposited by the action of dripping water to form stalactites, stalagmites, columns, draperies, transparent needles etc..
© 2016 Miloš Janković. All Rights Reserved.